To use it, you need to have, if your datafile is mydata.extension, a file named mydata/mydata.juxta.dat which is the juxta-cellular signal recorded next to your extracelullar channels. Note that if you have simply the spike times, there is a way to bypass this. 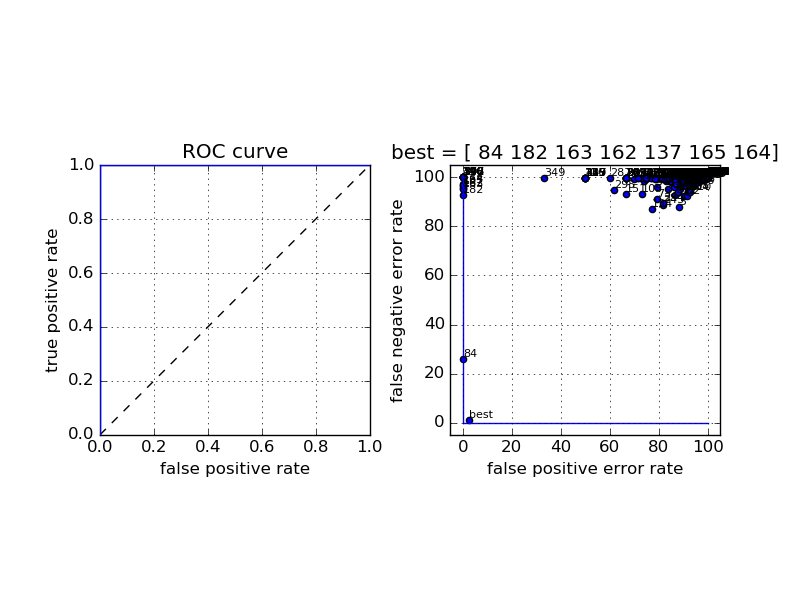 In a nutshell, to quantify the performance the software with real ground-truth recordings, the code can compute the Best Ellispsiodal Error Rate (BEER), as described in [Harris et al, 2000]. This BEER estimate gives an upper bound on the performance of any clustering-based spike sorting method using elliptical cluster boundaries, such as the one described in our paper. 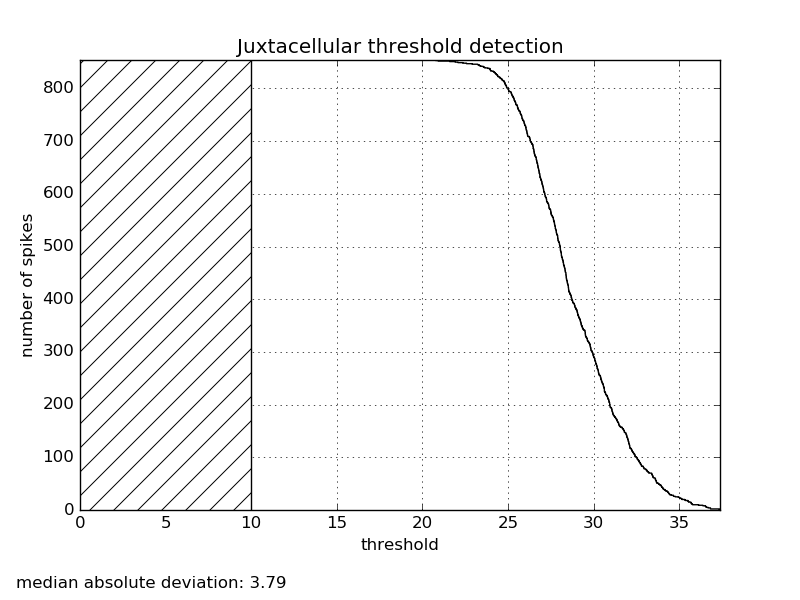 After thresholding and feature extraction, the windowed segments of the trace are labelled according to whether or not they contained a true spike. Half of this labelled data set is then used to train a perceptron whose decision rule is a linear combination of all pairwise products of the features of each segment, and is thus capable of achieving any elliptical decision boundary. 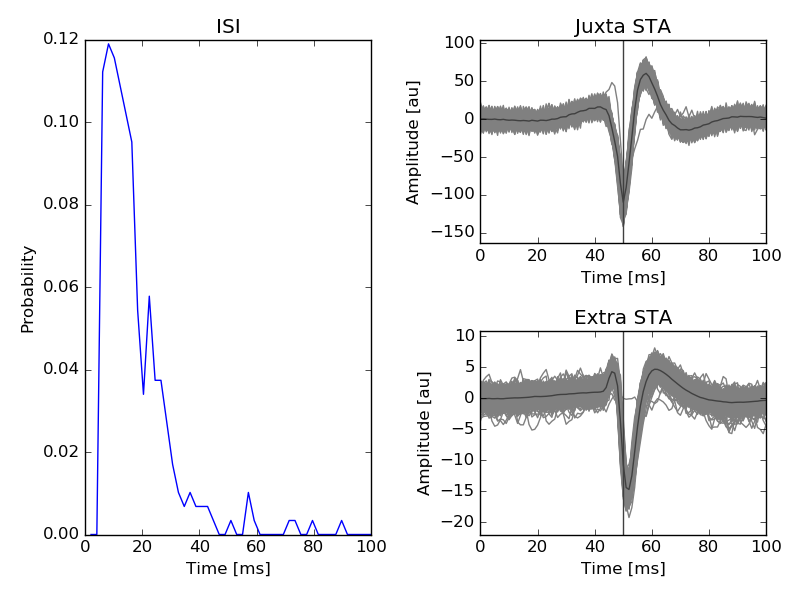 This decision boundary is then used to predict the occurrence of spikes in the segments in the remaining half of the labelled data, and the success or failure of these predictions then provide an estimate of the miss and false positive rates. The code will generate a file mydata/mydata.beer.dat storing all the needed information, and will produce several plots. 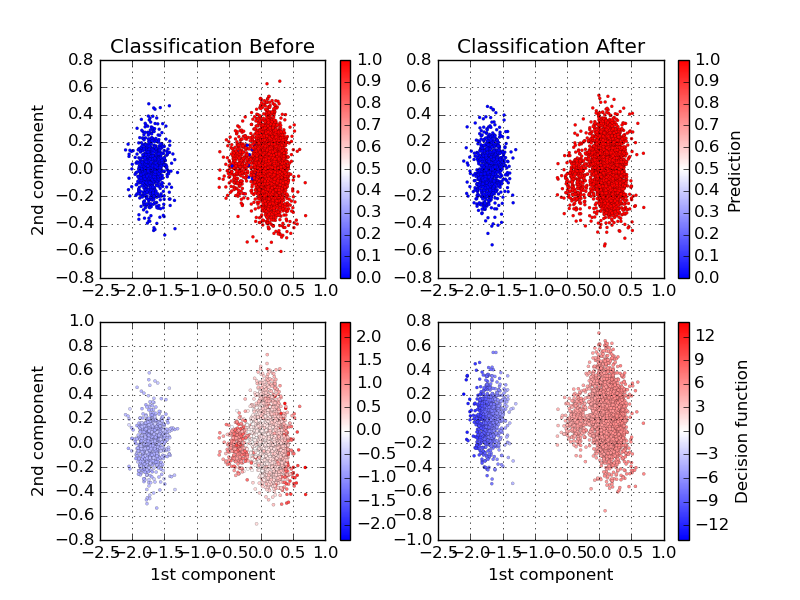 Decision boundaries of the BEER classifier before and after learning. The complete ROC curve for the classifier, and all the templates found by the algorithm, superimposed. If you are interested by using such a feature, please contact us! © Copyright 2015, Pierre Yger and Olivier Marre. Revision fa6d762a.